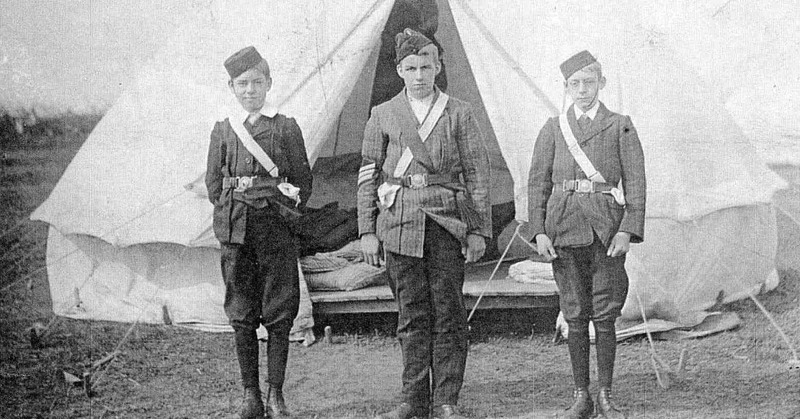 Killamarsh Congregational Boys Brigade at Camp circa 1910. Sgt Billy Bailey and Lloyd Batty on his left. Photo courtesy of V. Hopkinson.